Southern Weekly (南方周末) Publication of "General Motors: The Fall of An American Icon"
Click here to read the article published in Chinese. Southern Weekend is one of China’s most popular newspapers, and is owned by the independent-minded Southern Daily Group (Chinese:南方報業集团) The New York Times described the Southern Weekend as "China's most influential liberal newspaper". Bill Russo, founder and president of Synergistics Limited, said "This deal does not help China achieve its policy objectives of consolidating down to 'Top 10' larger, stronger Chinese car companies. It also does not support the idea of developing smaller, more environmentally friendly cars." Russo has extensive experience in the automotive and electronics industries. His viewpoints on the China automotive industry have been frequently published online and his viewpoints have aired on National Public Radio. He said "While the price paid for Hummer is unknown and may be quite low compared with what GM has invested, Sichuan Tengzhong is taking on a fair amount of operational and financial risk." China Conference & Webcast: "China: Key Strategies for Succeeding in its Auto Industry"
A full-day conference to assist you with your China needs. A powerful lineup of speakers will address critical issues for auto suppliers considering venturing into China, still expected to be the world's hottest automotive market for the next 20 years. The full-day conference will also be broadcast live via webcast over the Internet. The conference offers great opportunities to learn more about how to succeed in China's business market whether you are setting up operations in mainland China, doing business there, or considering sourcing from China. This SPECIAL VALUE PASS is for a qualified AUTOMOTIVE GUEST of Synergistics Ltd. is included in link below!!! PLEASE NOTE: Webcast registrants have access to the recording for 30 days past the conference date. Baker & McKenzie: Legal Challenges of Setting up and Maintaining Operations in China ~ Synergistics: The Impact of the Global Financial Crisis on China's Automotive Industry ~ Grant Thornton: Tax Planning for your China Operations under the New Unified Tax Law ~ BBK: Bumps in the Road Require Renewed Focus in Sourcing ~ R. L. Polk & Co: China and the Global Automotive Marketplace ~ Economic and Automotive Projections ~ CEVA Logistics: Logistical Challenges in China ~ Baker & McKenzie: Implementing A Compliance and Ethics Program in China ~ and more. GlobalAutoIndustry.com Publication of "The Path to Globalization of China's Automotive Industry"
China is the world’s factory for “everyday low price” merchandise. Sara Bongiorni’s amusing yet engaging book titled A Year Without ‘Made In China’ chronicles an American family’s futile attempt to boycott purchases of Chinese products for one year. The unexpected challenges of fulfilling such a resolution were felt when attempting to purchase footwear, eyewear, clothing, print cartridges, children’s toys, mousetraps and many other things. According to the US Census bureau, the trade deficit with China in 2008 stood at $266.3 billion, with China imports valued at $337.8 billion compared with US exports valued at $71.5 billion. The message is clear: China dominates the production of everyday household goods. It just seems logical to assume that it’s simply a matter of time before China becomes an exporter of the most symbolic cultural icon: the automobile. In this second article in a 3-part series on the China auto industry, Bill Russo describes the challenges faced by Chinese original equipment manufacturers (OEMs) in going global, and will highlight the role of Mergers and Acquisitions (M&A) as a plausible but high-risk means of accelerating this process. To view the full article published in ASIAtalk click here. BEIJING—Chinese officials are deliberating a draft plan that could improve the fuel economy of cars built domestically by about 18 percent by 2015, say experts close to the planning. The plan aims to reduce China's reliance on foreign oil and encourage more technologically advanced automobile engines. Those same goals have inspired increased Chinese investment in alternative energy vehicles, including those powered by hybrid and electric systems, which have the added benefit of emitting fewer air pollutants and greenhouse gases than standard gasoline-powered vehicles. The draft fuel economy plan making the rounds between ministries could be released early in 2010, said Feng An, president of the Innovation Center for Energy and Transportation, which has offices in Pasadena, Calif., and Beijing. China's top planning body, the National Development and Reform Commission, and the regulatory Ministry of Information Industry are the two main agencies reviewing the draft plan, which was completed in early May. Feng, who worked as a consultant for the Chinese government in drafting earlier fuel economy measures, said the standards could be implemented starting in 2012, but that full implementation would likely be phased in through 2015. Cars produced in China currently average about 35 miles per gallon but could achieve 40 mpg by 2012, according to data from Feng's organization. Feng said environmental considerations are not the main motivators for the possible change in the fuel economy standards. “China imports about two-thirds of its oil,” Feng said. “They'd like to be as oil-independent as possible. Also this will help create more technically advanced engines and phase out second-rate technology. China measures fuel economy based on urban driving and sets standards by 16 categories of vehicle according to weight. The goal of an 18 percent increase in fuel economy standards by 2015 is based on the current sales mix of small, medium, and large vehicles, Feng said. That could be affected by a change in the mix of vehicle types. For example, in the first three months of 2009 sales of cars with engines of 1.6 liters or smaller surged 70 percent over the year before, spurred by tax incentives as low as 1 percent of the sales price. According to David Vance Wagner, a policy adviser at the Vehicle Emission Control Center, a research institute in Beijing under the Ministry of Environmental Protection, imported cars are not currently required to meet China's fuel economy standards. Although China is not likely to ban imports of cars that do not meet its new standards, Wagner said Chinese officials could adopt a system of progressive penalty fees for purchasers of these vehicles based on how much they diverge from China's standards. China also is looking to increase the number of alternative energy vehicles in the country. In one such initiative, the central government is helping 13 municipalities purchase 60,000 hybrid and electric vehicles by 2012 for government fleets, including buses, postal, and sanitation vehicles. The 13 cities are Beijing, Shanghai, Chongqing, Changchun, Dalian, Hangzhou, Jinan, Wuhan, Shenzhen, Hefei, Changsha, Kunming, and Nanchang. For example, Beijing expects to take delivery soon of the first 50 of 860 hybrid buses it will purchase this year, according to the state-run Xinhua news agency. Fifty electric buses also will be purchased. So far this year, Beijing has spent about 122 million yuan ($17 million) to buy alternative energy vehicles and to expand the capacity of its charging stations. The government's pilot project supporting hybrid and electric vehicles in the 13 targeted cities was launched in February through the joint efforts of the Ministry of Science and Technology (MOST), Ministry of Finance, Ministry of Industry and Information Technology, and the NDRC. The absence of the Ministry of Environmental Protection from the project indicates that the project's motivation is more economic than environmental, some analysts said. China also sees an opportunity to leapfrog its competitors in the electric car industry, Wagner said. According to government figures of registered licenses for alternative energy vehicles, in 2008 2,617 hybrid cars were sold in China. And the government estimates that the production capability for alternative energy cars in China will reach 500,000 in the next three years. State-run China Radio International recently quoted an industry study predicting a lower domestic sales volume of hybrid and electric cars of 100,000 per year by 2015, assuming that oil remains below $150 per barrel. These numbers are still relatively small considering that in the first quarter of 2009 2.7 million vehicles were sold in China. A number of domestically produced hybrids and all-electric vehicles are expected to begin rolling off China's production lines starting later this year and throughout 2010, including Great Wall Motor Co.’s all-electric car, the GWKulla. 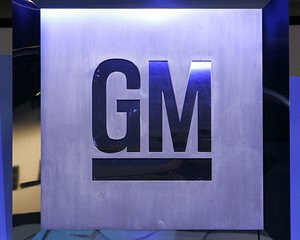 In addition, General Motors plans to introduce its Volt electric car to Chinain 2011. And an alliance of Japan's Nissan Motor Co. and Renault of France will start selling electric vehicles in China in 2011 and has signed a memorandum of understanding to supply vehicles and to design a battery-charging network for Wuhan, the capital city of Hubei Province. The Chinese government is expected to begin a public promotion campaign this month to urge people to buy hybrid and electric cars. Construction of infrastructure such as plug-in stations in the 13 cities targeted under the economic stimulus initiative will begin in December. Standardization of that infrastructure could be a problem though, said Thibaud Voita, an alternative energy vehicle researcher at Asia Centre, a European research institute in Beijing. Local governments are making up their own standards closely aligned with the companies developing electric cars in their localities. No national standards set have been set for plugs, voltage, batteries, or charging stations.